Adventure Time, c’mon and grab your friends! We’re off to very distant lands. 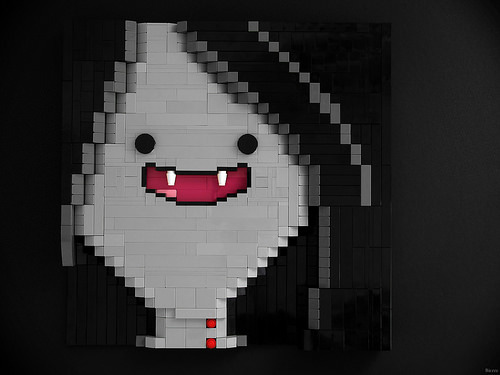 Lands where cute and quirky vampires like Marceline have complex relationships with Jake, Princess Bubblegum, and even the Ice King. Biczzz started this incredible mosaic as a 2D project, but then ran out of tiles. Solution: upgrade it to a 3D project! I’m glad he ran out of tiles, the depth and layering created by the cheese slopes is quite impressive.